This day, go back to Skaill Bay which you glimpsed on the way home to Annie's Place from Stromness. Visit 19th century St Peter's Kirk on the shore, with its tiny Sabbath School room, situated right underneath the minister's pulpit - how to keep the peedie bairns quiet in church on a Sunday ? 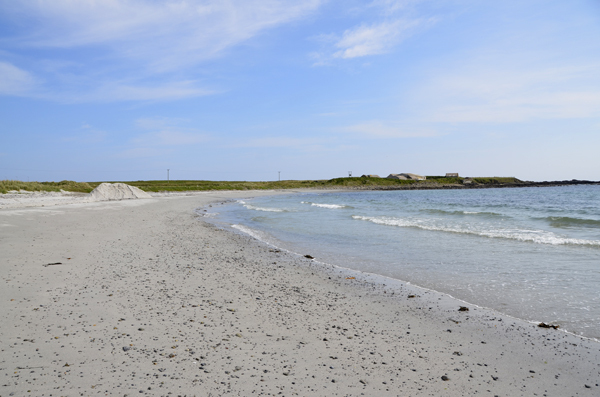 Now walk along windswept, sand covered Skaill Beach to give yourselves a sense of real life conditions for those who inhabited neolithic Skara Brae, passing down a 5,000 year Orcadian timeline. After lunch, your Historic Scotland ticket can give you entry to Skaill House, a rare example of an early 17th century Bishop's/Laird's Mansion House. Your afternoon on The West Mainland might also take in a visit to award winning Quoyloo Brewery, if only to say that you have sampled the exotically named Skullsplitter Ale. On the way back to Palace village in Birsay, don't miss the unique 16th century Kirbuster Farm Museum: it is the last remaining "firehoose" in northern Europe that is still in its original state, with its central stone hearth and smoky peat fire, its human stone neuk beds and animal stalls built side by side, and the hen roost over the door; watch out as you exit! 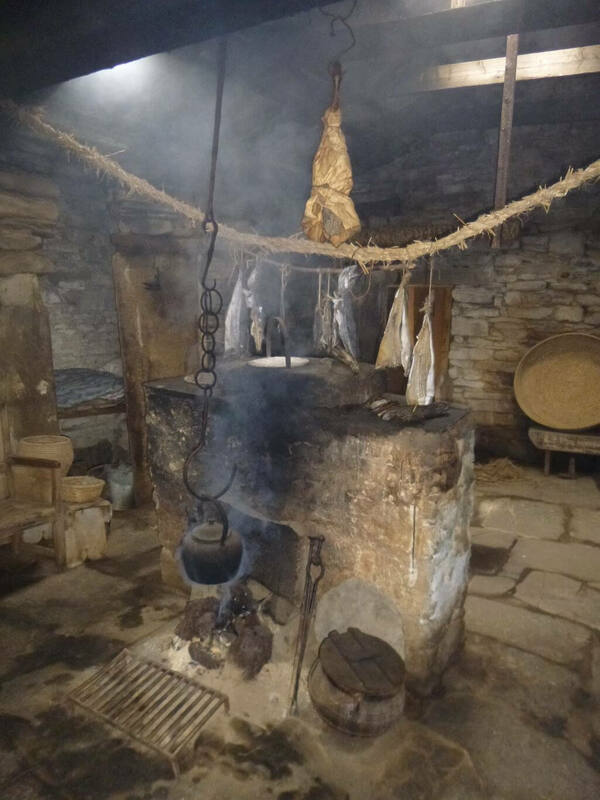 There should also be time to visit Barony Mill, still grinding the Orcadian mediaeval bere meal for oatcakes, on sale at Palace Stores in Birsay and for exporting to Ireland for a new variety of Guinness. Now sit and relax in the long evening sunset on our bench looking out over the sea to Marwick Head and Brough of Birsay, with that glass of Skullsplitter !